Make CodeHS your own with CodeHS Create. 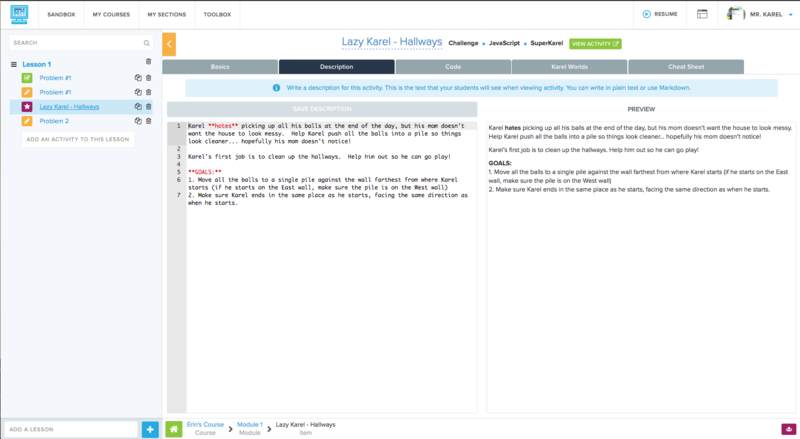 The Create tool allows teachers to build their own exercises, quizzes, projects, autograders and more. 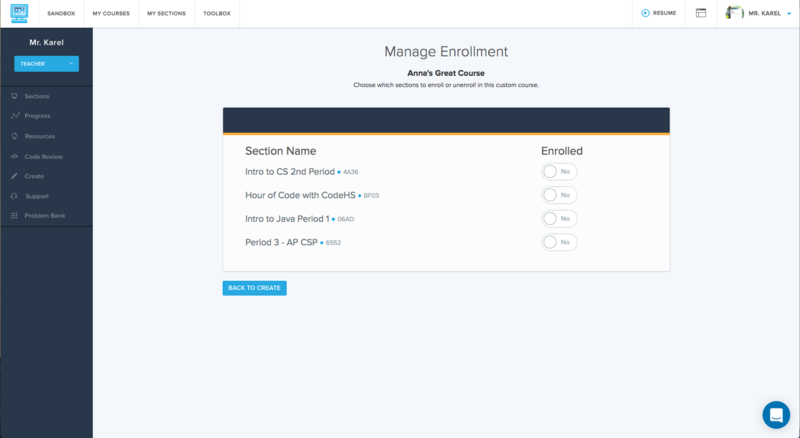 Once teachers create their activities, it's easy to assign those to students and leverage the CodeHS platform and tools to track progress, view student work, and provide feedback. Teachers can use Create to create content that reinforces tough concepts that students are struggling with, incorporates creative projects into your classroom that will motivate and excite your students, or challenges your top students. Create also makes it easy for teachers to design their own assessments to measure and evaluate student learning throughout the course. Empowering teachers with tools to create and teach great computer science classes is super important. 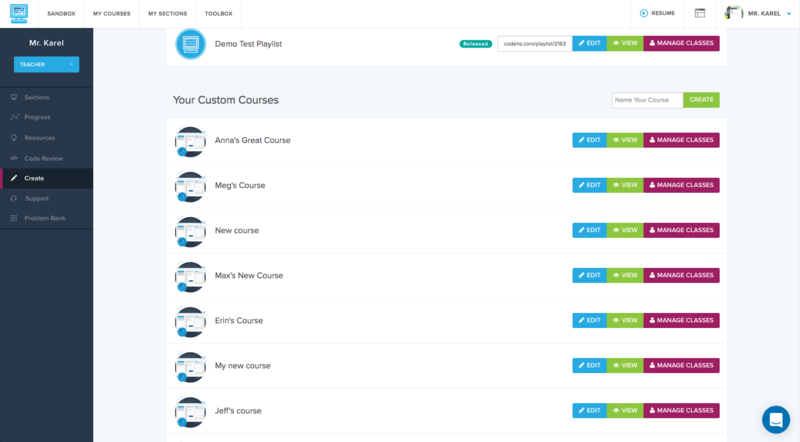 With Create, teachers can build upon our curriculum and create their own, customized courses. You can find CodeHS Create through the Toolbox.